Scania is introducing two Euro 6-certified, 13-litre truck engines that can run on any diesel blend, right up to 100 per cent bio-diesel (EN 14214). 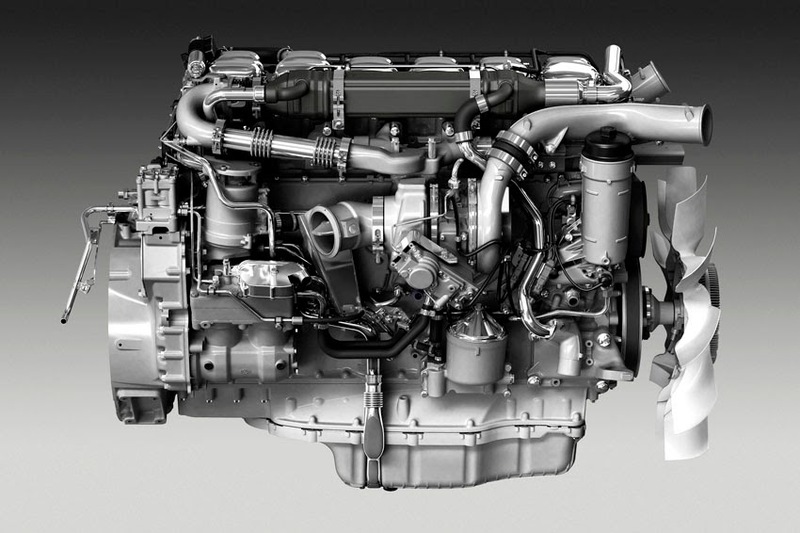 The versions certified for biodiesel operation are the modular, six-cylinder, 13-litre 450 and 490 hp engines. is continuing the roll-out of its Euro 6-certified engines intended for use with 100 per cent bio-diesel. In October 2013, Scania introduced its robust five-cylinder, 9-litre bio-diesel engine in two different output versions - 320 hp and 360 hp. These are now being followed by the 13-litre, inline six engine that will be available both in 450 hp and 490 hp versions with SCR and EGR aftertreatment systems. The basic model of the 450 hp engine offers 2,350 nm of torque from 1,000 r/min, while the 490 produces a massive 2,550 nm from 1,000 r/min up to 1,300 r/min. It is worth noting that output declines a maximum of just 8 per cent when the engines are run on 100 per cent bio-diesel fuel (due to the lower energy content in bio-diesel). Both SCR and EGR are used in the aftertreatment of the exhausts. The attributes of bio-diesel fuel lead to an increased proportion of ash in the exhaust fumes, leading to shorter service intervals and a slightly increased consumption of fuel. Both fuel and AdBlue consumption may increase by 10 per cent in an engine run on 100 per cent bio-diesel. Scania will continue to introduce additional bio-diesel engines with different output levels and in different sizes. All of Scania's Euro 6-certified diesel engines are, even in their basic versions, certified for bio-diesel blends of up to 10 per cent. "These additions underline Scania's position as the industry leader in the bio-diesel Euro 6 segment," said Orjan Aslund, Product Affairs. "Scania is presently offering no less than 17 engines in its Euro 6 range, of which four can be run on 100 per cent bio-diesel. And our customers can expect more to come."